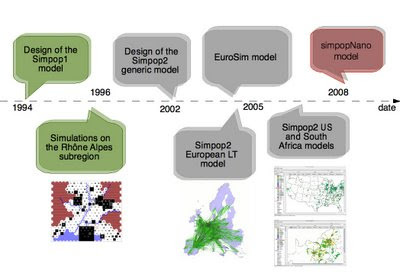 I been meaning to highlight the SIMPOP models for a while, and after listening to Denise Pumain talk at the AAG annual meeting a few months ago entitled "Modelling spatial evolution: the example of urban systems." I thought it was about time. The SIMPOP model is basically a multi-agent model of cities systems evolution. 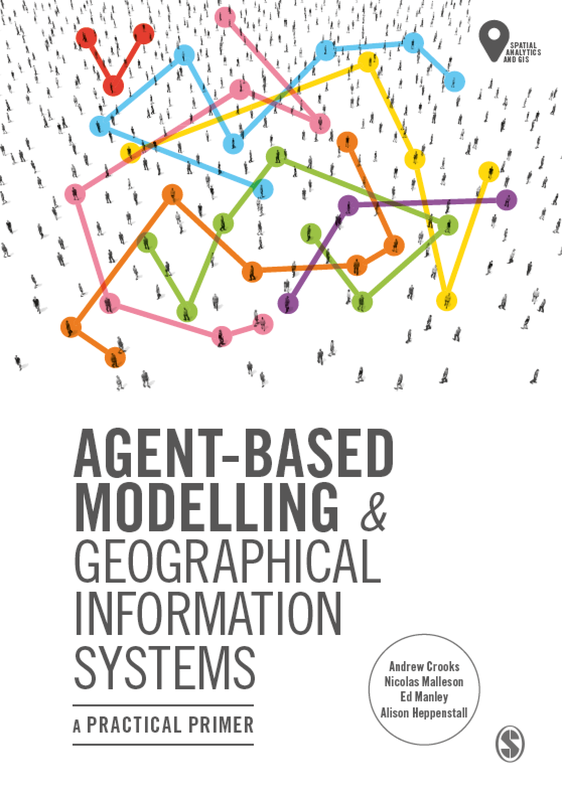 In the model, agents are geographical entities: towns and cities. 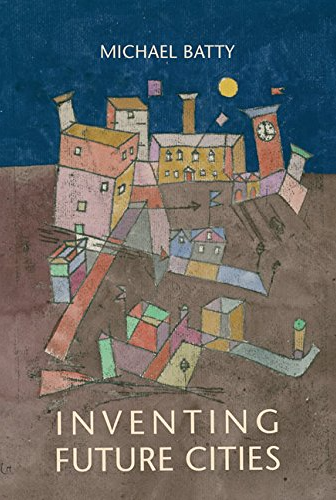 "This choice refers to evolutionary urban theory : the hypothesis is that the dynamics of a town or a city depends on its ability to interact with other towns and cities, which in turn depends on its relative situation in the settlement system (in terms of hierarchical level, specialization, accessibility). The city is then seen as a coherent entity, whose potential of growth depends first on its external interactions (core rules of the model) and second on internal specificities (governance). The interurban interactions are the driving forces shaping the emergence and evolution of the system of cities. (SIMPOP website)." The model has been developed since 1996 and has been used to model the growth of Europe from 1300 and the United States of America from 1650. 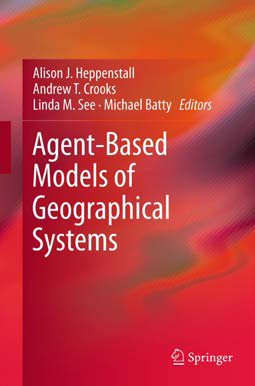 To find out more about the models visit the SIMPOP Project website which has an introduction to the generic model, application domains and a list of publications resulting from the work (however, some of the links are currently not working).